As we approach summer in San Francisco (pull out winter jackets! 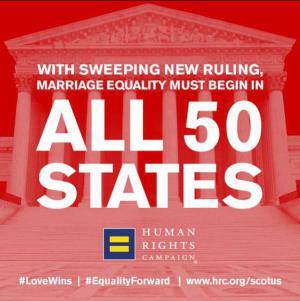 ), spring was quite a season for DEM. Check our seasonal recap and have a great summer! 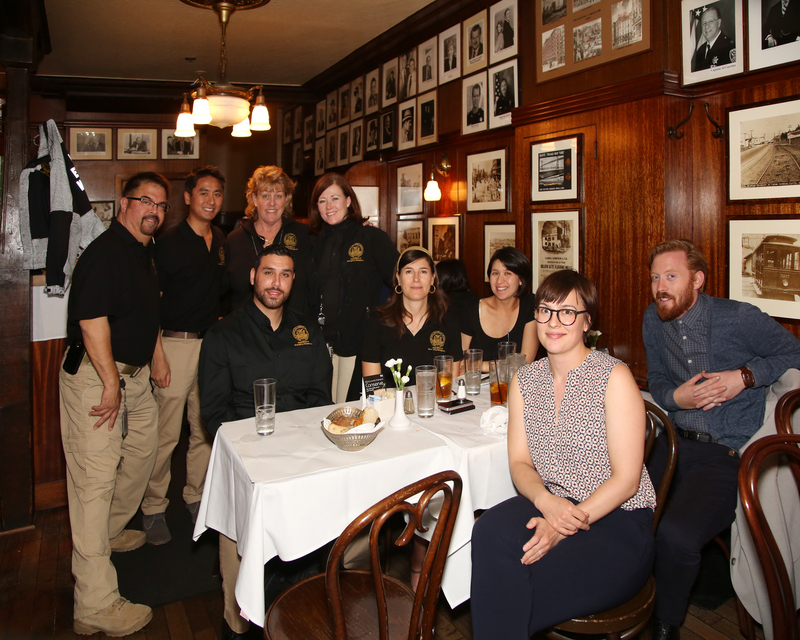 April is traditionally a very busy month for DEM as it marks two particularly significant events: the yearly National Public Safety Dispatchers Week and the anniversary of the Great San Francisco Earthquake and Fire. The following recaps the activities of one of DEM’s most energetic months. Every month a DEM Public Safety Dispatcher is recognized for outstanding service while assisting those in crisis. This month DEM Public Safety Dispatcher Shannon Bond is being recognized for the protection he provided to Fire and Medical Personnel during an attack from a patient. The San Francisco Department of Emergency Management has selected Public Safety Dispatcher Shannon Bond as Communications Dispatcher of the Month for April 2015 for his swift thinking and astute sense of awareness while working and surveilling the Fire Channel. Earlier this month while Shannon was manning the Fire Channel F1, dispatch received a call regarding a seizing patient. Units had been dispatched and although they had reached the scene Shannon heard a commotion over the air waves. He followed-up by immediately calling for a status check from the dispatched units. After no response, Shannon grew increasingly concerned and quickly requested a priority request for the Police to check the well-being of the Fire and Medical Personnel that had been dispatched. When Police arrived at the scene they saw a combative patient armed with a knife attacking the Fire and Medical Personnel. Without Shannon’s ability to rapidly respond and request additional support on the ground, a volatile situation could have become a very dangerous one. We thank Shannon for his diligent work and fast response. Have you ever wondered who is on the other end of the line when you call 9-1-1? In the advent of an emergency you call 9-1-1 hoping to ultimately reach fire fighters or police officers, but who coordinates with those entities? Who guides them? Who advises them on the situation, and who helps to keep our officers and fire fighters safe in potentially chaotic instances? Dispatchers are the unsung heroes of our emergency response infrastructure. 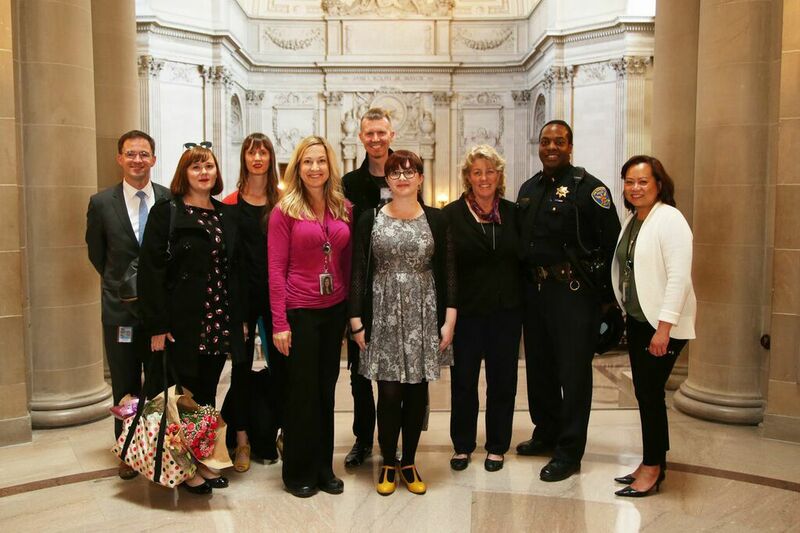 April 12th-18th was National Public Safety Dispatcher Week and the San Francisco Department of Emergency Management celebrated all of our fantastic and talented team of dispatchers. We celebrated our dispatchers all week long with a special event each day. Some of the highlights included: the Dispatcher of the Year Board of Supervisor’s Proclamation at City Hall, the presentation of the Toni Hardley Award, and our Open House/Dispatcher Alumni Day. 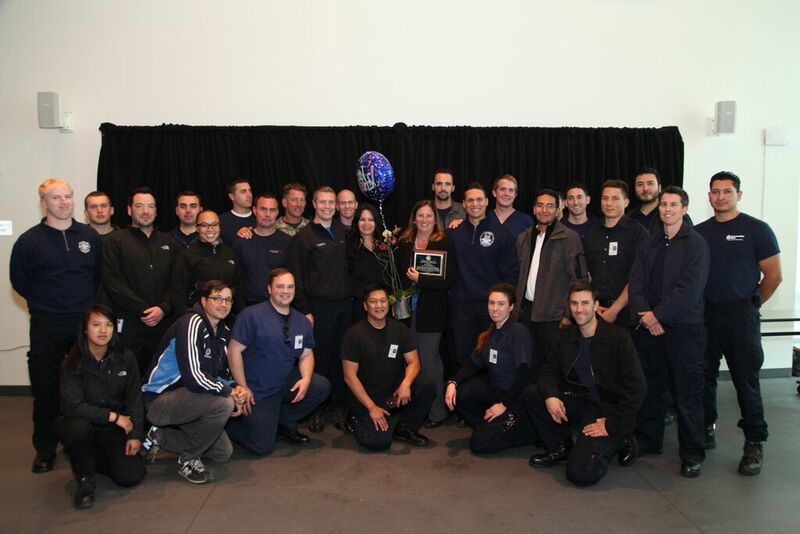 April 13th, 2015 the San Francisco Board of Supervisors honored 9-1-1 dispatcher Kayleigh Hillcoat with the Dispatcher of the Year award for her professionalism and precision in directing three high-stress and complex incidents. 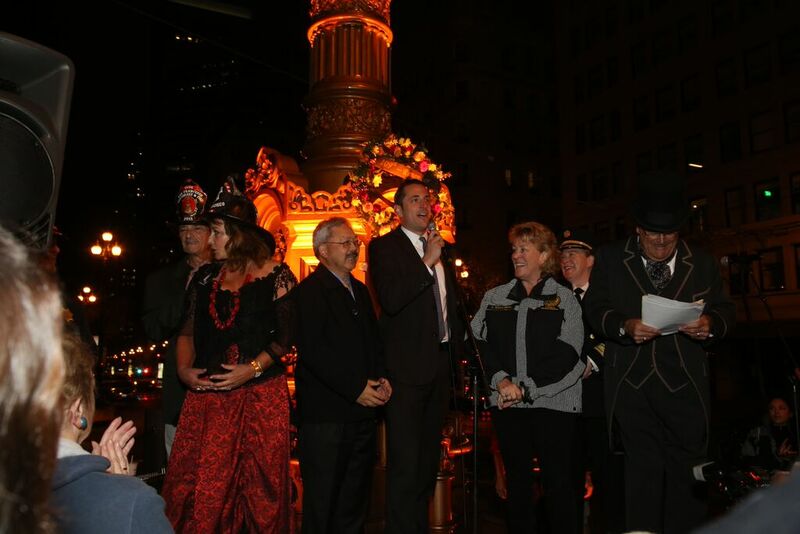 As the dispatcher on the Control/Command radio channel, Kayleigh assisted the San Francisco Police Department during an incident that involved a potential officer down, throughout spontaneous celebrations the evening that the San Francisco Giant’s won the World Series, and during public demonstrations in Union Square related to the Ferguson, Missouri protests. 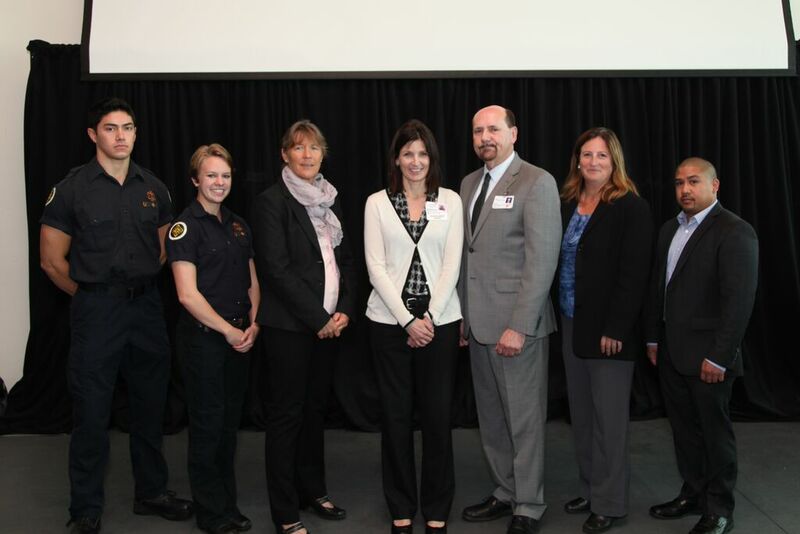 “Kayleigh is being recognized for not only one coordinated response to an emergency, but three. 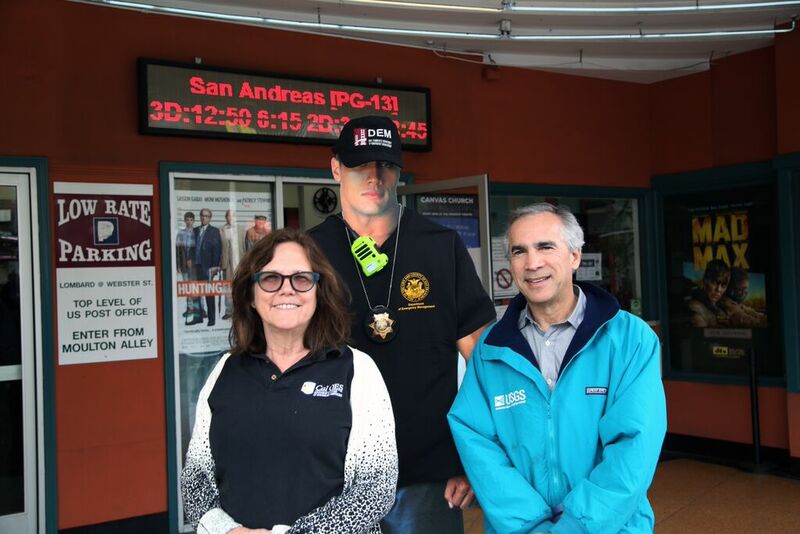 She has exhibited strength, grace, and compassion during incredibly complex incidents,” said Anne Kronenberg, Executive Director, San Francisco Department of Emergency Management. Every year we present the Toni Hardley Award for Excellence in Supervision. Toni Hardley was a beloved supervisor of the Department of Emergency Management who is remembered for her calm, cool, and collected nature. As one supervisor remembers her “She was the supervisor everyone aspired to be.” We remember her by the presentation of this award. 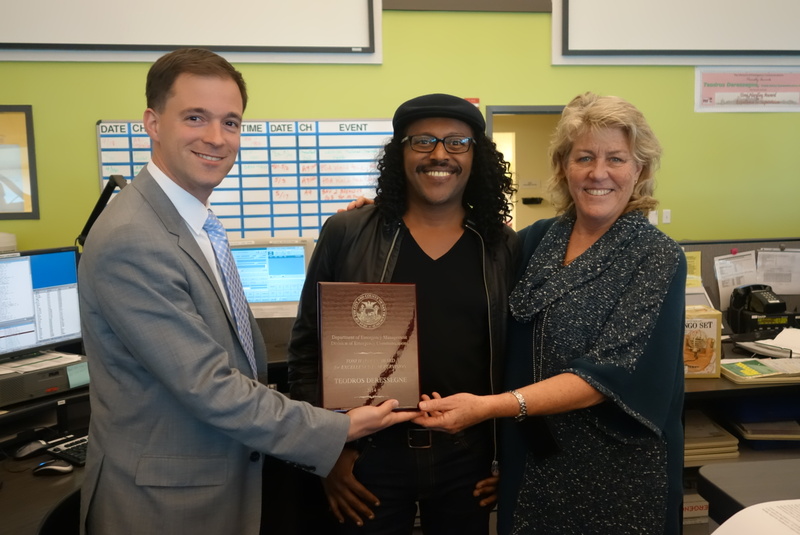 This year Teodros Deressegne was awarded for his upstanding contributions to his team both as a dispatcher and a supervisor. 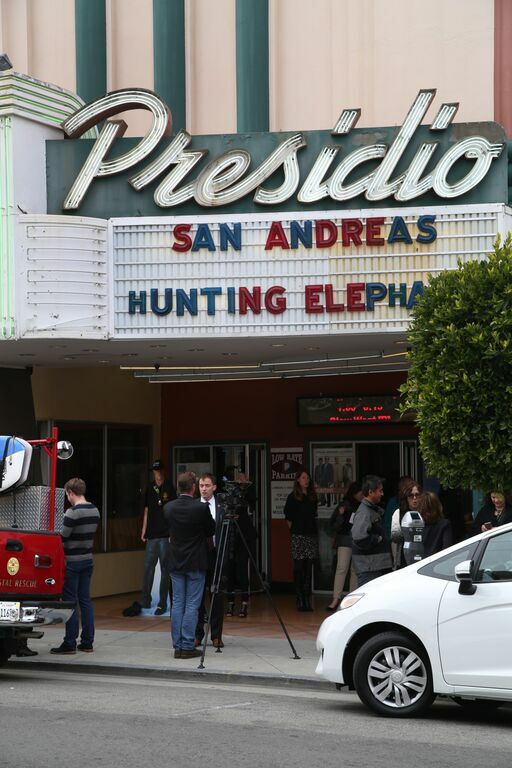 Teodros Deressegne was particularly recognized for the time he spent talking a young boy out of his home during the Mission St. fire this year. The boy was the last person still left in the building and Teodros helped him to find his way out of the fire. On Friday April 17th, the Department of Emergency Management opened our doors for an open house and dispatcher alumni day. We were greeted by some familiar faces as friends new and old arrived to greet our staff. 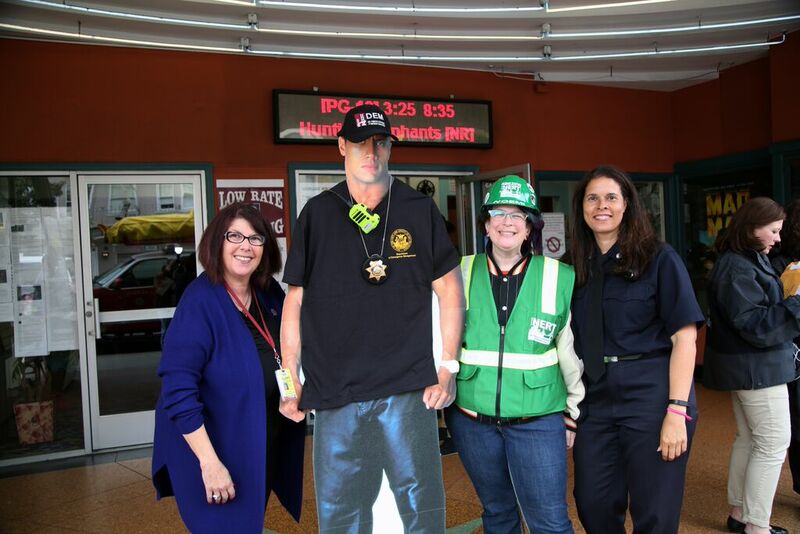 Even Fire Chief Joanne Hayes-White was able to drop by to give our well-deserved dispatchers some recognition! 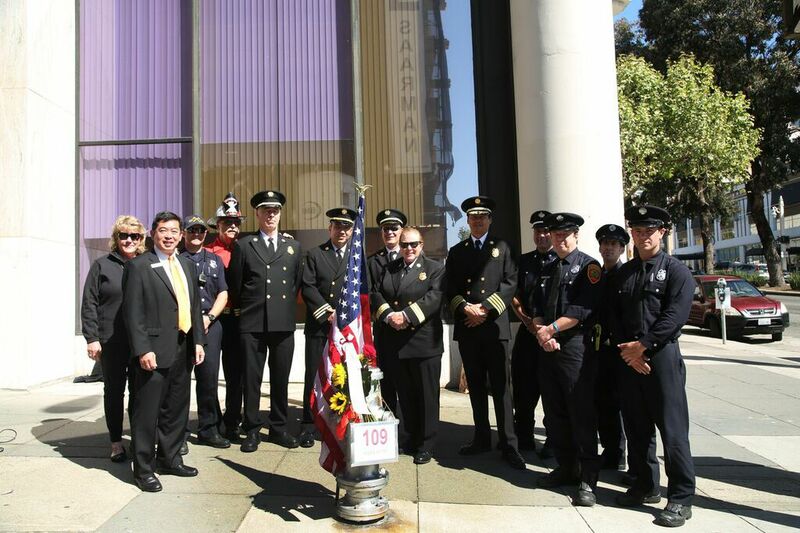 This year was the 109th commemoration of the San Francisco Great 1906 Earthquake and Fire. Every year citizens, public servants, and elected officials gather to remember the disaster that brought down a large part of our beautiful city. Many dress in period costumes and are ready to continue a long tradition of remembrance and story-telling shared to honor the victims and the survivors of the great quake and fire. 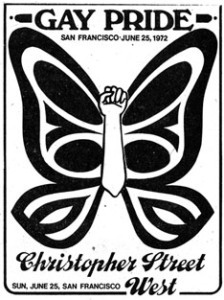 This disaster is commemorated with laughs, smiles, and good old fashioned San Francisco pride as we not only remember the devastation but the remarkable recovery of our city and our citizens. 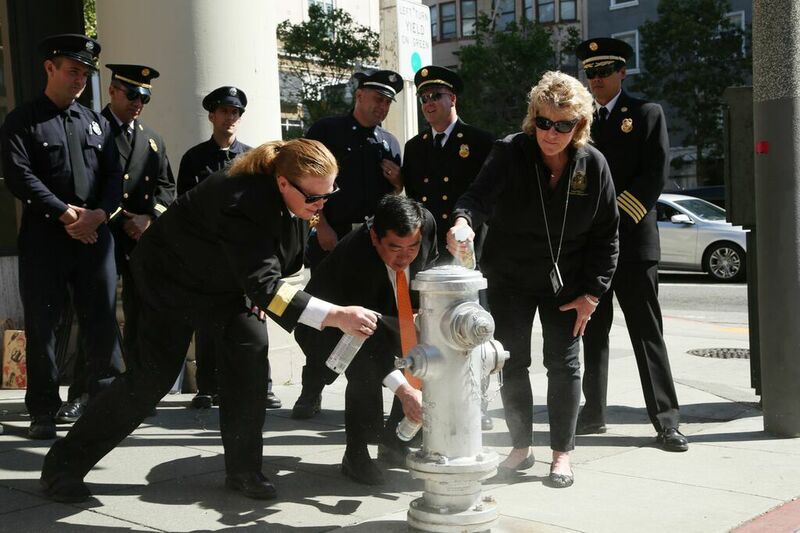 The Department of Emergency Management began celebrations at the Silver Twin Fire Hydrants, located at Hayes and Buchanan, and Ellis and Van Ness. 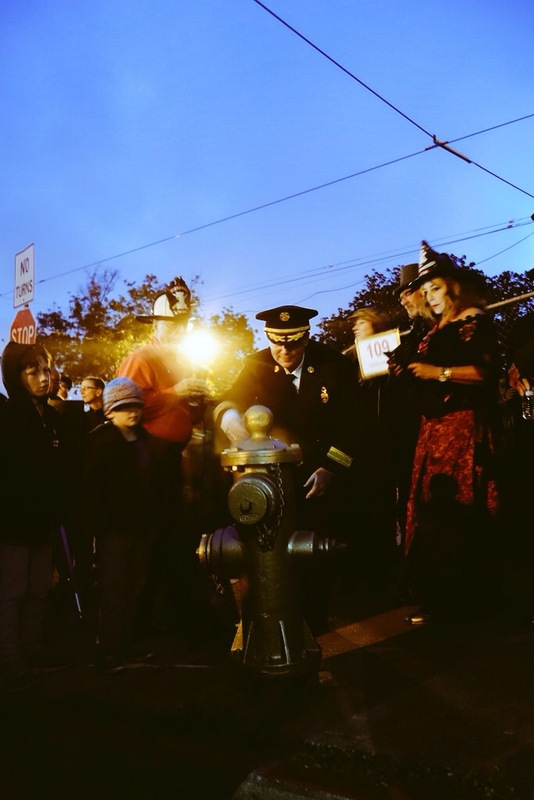 It is now known that these fire hydrants were equal to the actions of the Gold Hydrant located in the Mission. These two hydrants are traditionally painted silver in long overdue ceremonies to honor the contributions of the “Silver Twins” in stopping the now famous “Ham & Egg” fire in the Western Addition. Following the re-painting of the Silver Twins the crow roared towards John’s Grill who has been serving up the “Big One” Luncheon for 15 years. Some of those who gathered at John’s Grill have been attending this celebration for as long as the Grill has been serving for this event. 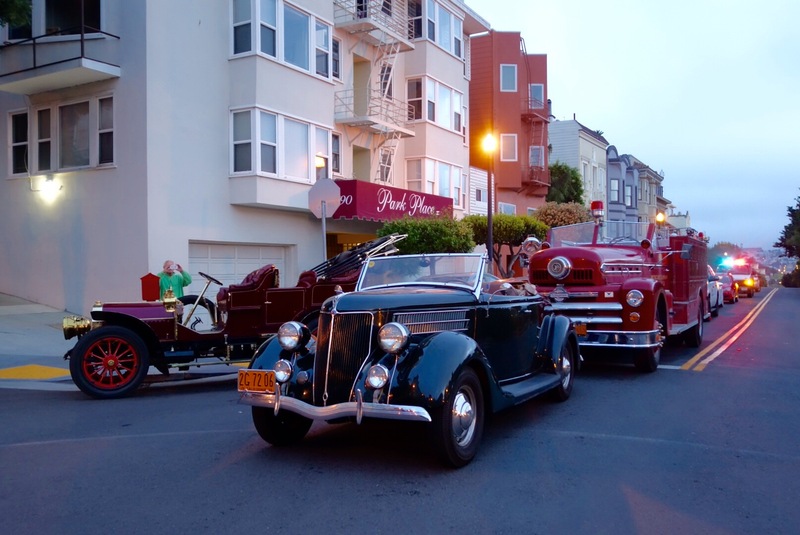 Period attire, firefighting garb, and vehicles from the era lined the street. 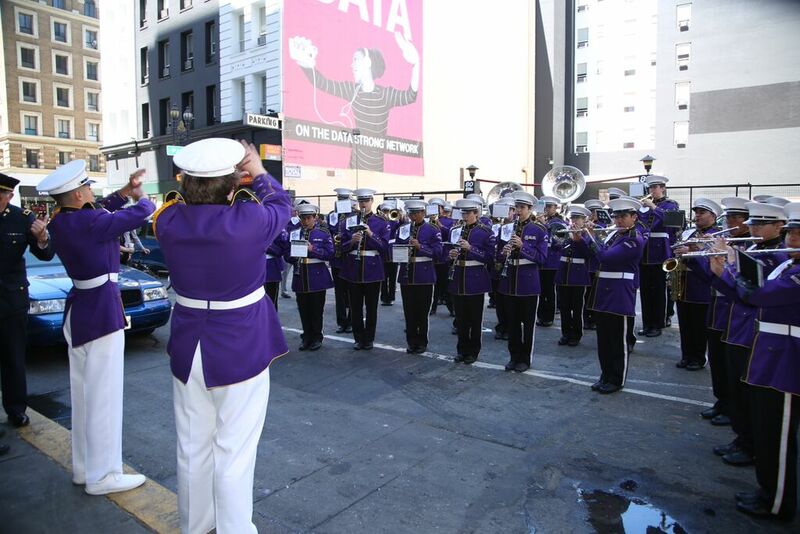 We were also serenaded by the thumping and boisterous sounds of Archbishop Riordan’s High School marching band. 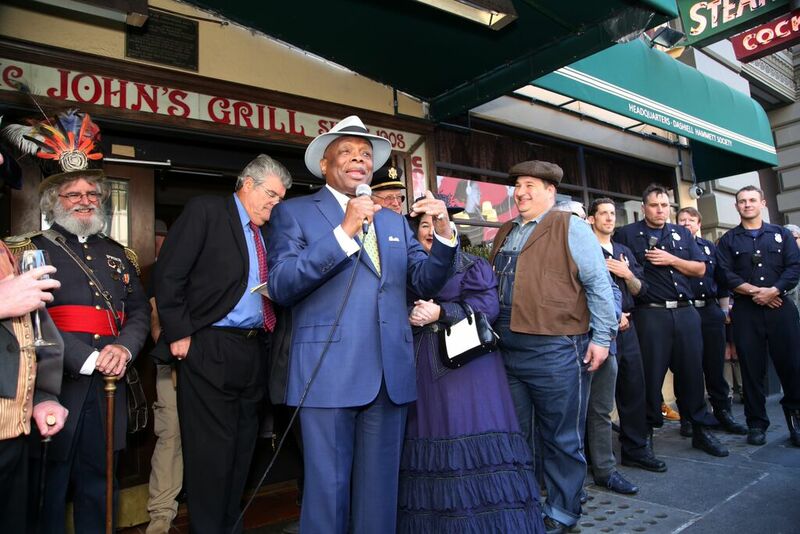 Last but not least, the commemorations were wrapped up at the annual Lefty O’Doul’s Bloody Mary Survivor Breakfast. Although we must never forget the devastation we faced, we must always remember how we came together as a community. 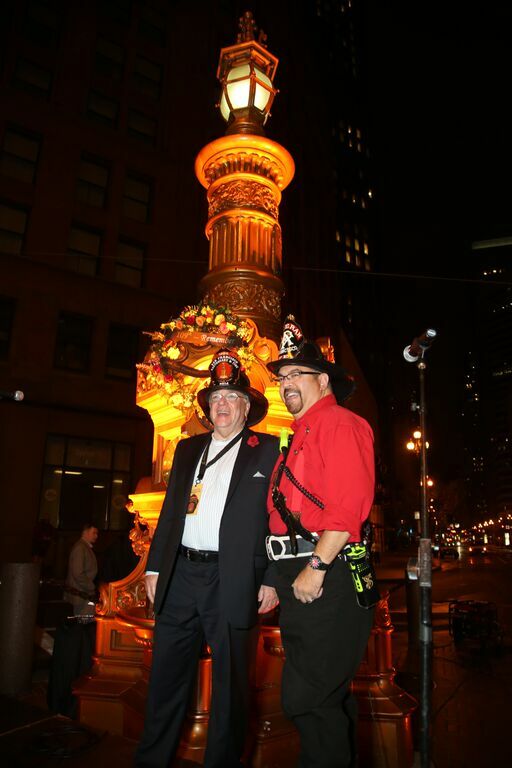 Commemorating the Great 1906 Earthquake and Fire is just as much about remembrance and honor, as it is about reminding ourselves of the strong community we always have to fall back on, and this year we did just that! 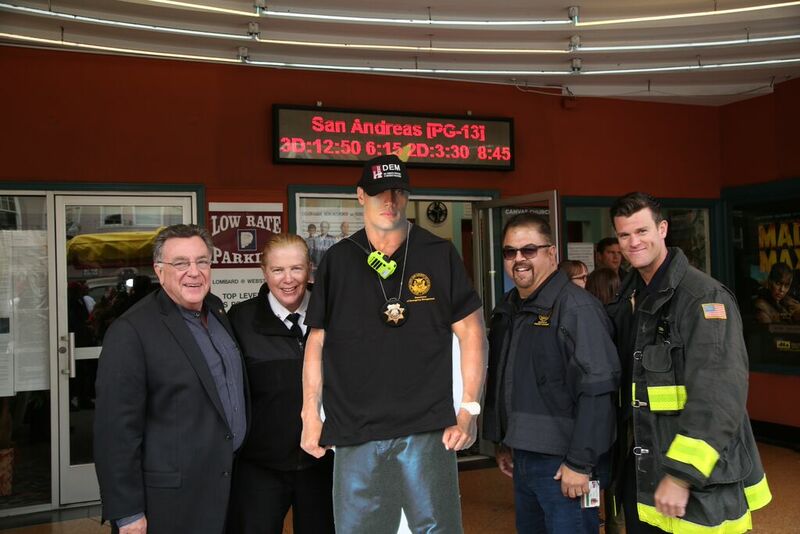 On Friday May 29th, the San Francisco Department of Emergency Management and the San Francisco Film Commission joined forces to host a special viewing of San Andreas at the Presidio Theater. San Francisco digitally crumbled underneath a 9.6 magnitude earthquake and an impressively large tsunami proceeded to take down the Golden Gate Bridge! Dwanye Johnson delivered his action movie flare and although parts of the film were tense, we managed to share many laughs (and few “yahoos” during scenes with drop, cover, and hold on). 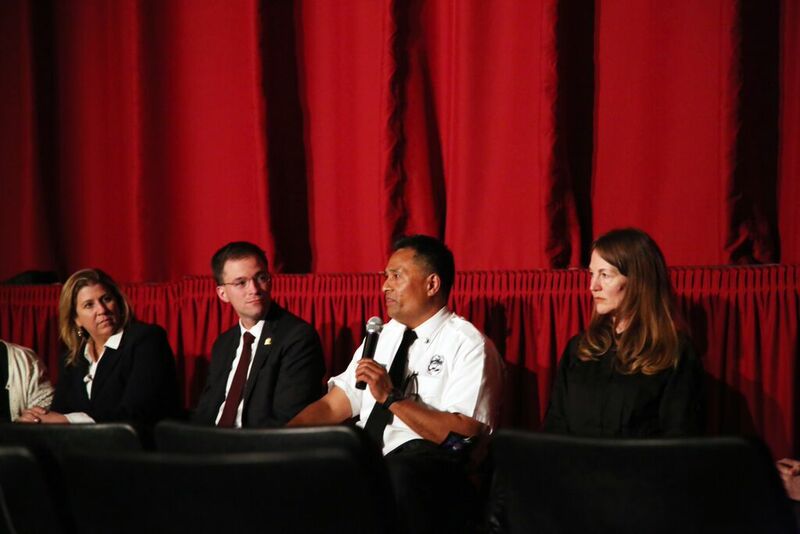 After the film, we held a panel with emergency and earthquake science professionals who helped us to debunk earthquake and tsunami myths. 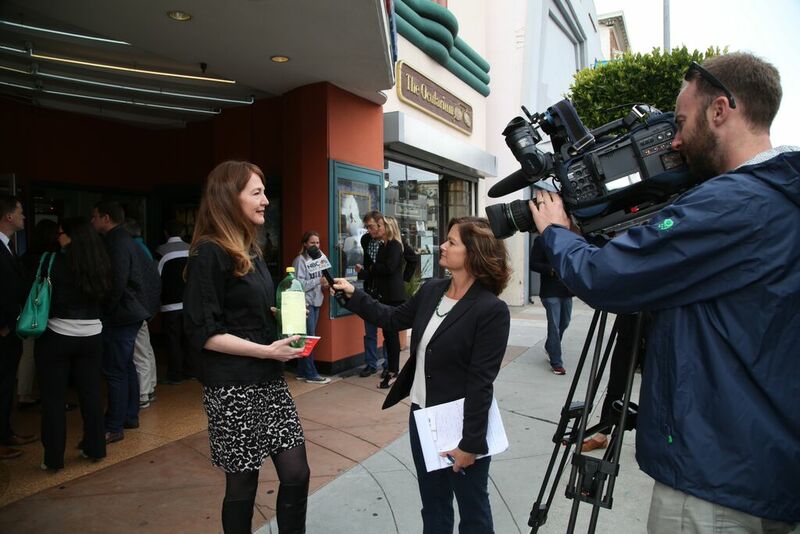 Check-out our previous blog on the event! 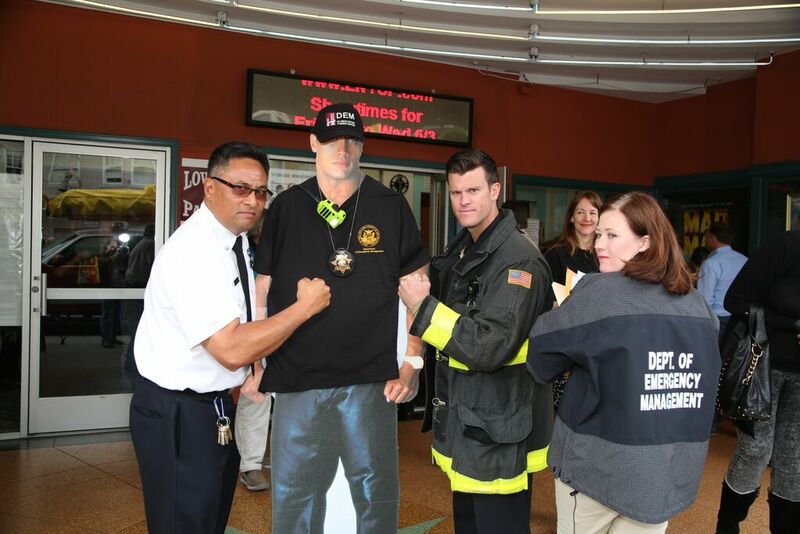 May 17th-May 23rd was National Emergency Medical Services Week. 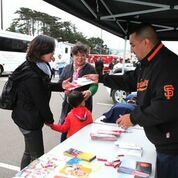 San Francisco’s emergency medical service (EMS) professionals rush every day to the scenes of emergencies to assist in what might be someone’s darkest hour. 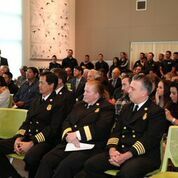 On Wednesday May 20 we honored their achievements by hosting an Open House and Awards ceremony at San Francisco City College.